What is lip enhancement treatment and how does it work? As we age our lips lose volume and their natural red colour. This is due to the natural loss of collagen and elastin production and a decrease in moisture levels. Excessive sun exposure, genetics and smoking are three of the major factors that can greatly accelerate this process and create less than full lips, blurred lip lines and a lack of definition. 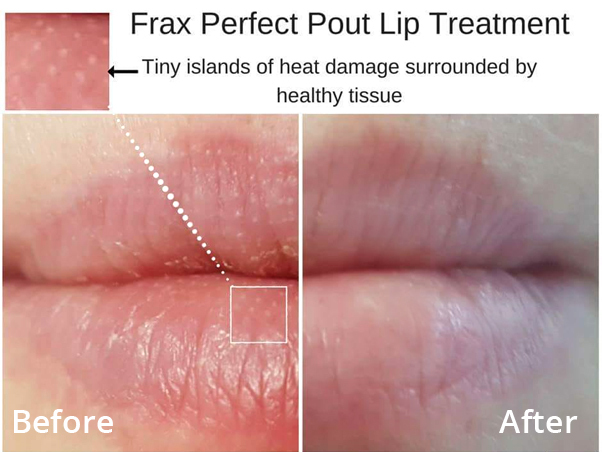 Frax 1550nm laser lip enhancement treatment works by creating very small, controlled islands of heat damage, surrounded by healthy normal tissue, under the surface of the lip. When the body repairs this controlled damage, collagen in the whole of the treated area is replaced. By increasing collagen production, after a few sessions the results are long lasting. Frax 1550 treatment normally involves the use of a local numbing cream, which is applied 30 minutes before treatment. Typically the treatment procedure itself only takes 10 minutes. The treatment may be a little uncomfortable, which is why we recommend the use of numbing cream. The feeling of mild sunburn or a tingling sensation may be experienced after the treatment. Temporary dryness and mild swelling may occur. It is important to avoid sun exposure and the application of self-tanning products before and during the treatment period. Let us know if you are prone to cold sores. Sun protection is essential if sun cannot be avoided (SPF30+) and a water barrier cream or moisturising cream will speed recovery. An appropriate, non-irriatating topical product containing hyaluronic acid may be applied. It is recommended to have a course of 6 treatments, which will be carried out at 4 week intervals, to achieve the desired result. 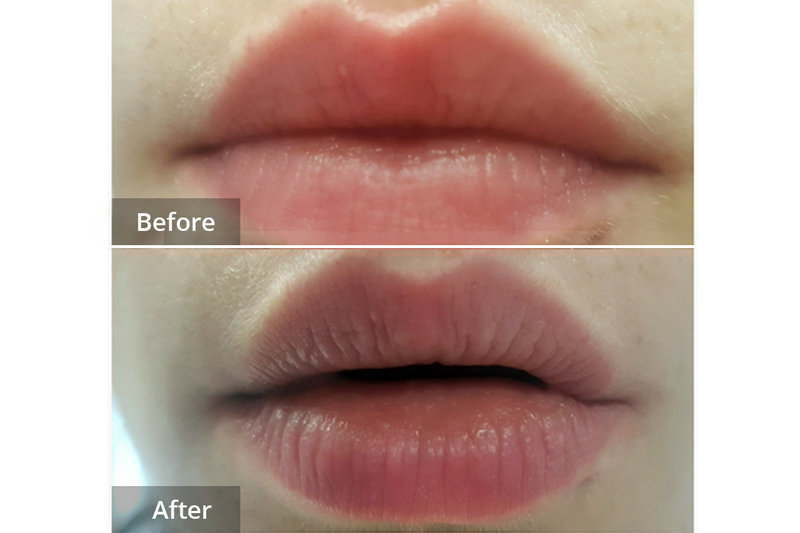 Directly after Frax 1550nm laser lip resurfacing at Laser Clinic Galway.